Creative play is a fantastic way to encourage children to engage with stories and their characters – they learn new skills and have fun while retaining new information and understanding stories in entirely new ways. With May Gibbs characters, the opportunities for imaginative play are endless! May Gibbs’ books have been delighting and inspiring Australian children for a century, but how do you encourage your little ones to engage with these fantastic stories in today’s digital age? With May Gibbs, play ideas are plentiful. Read on for inspiration! 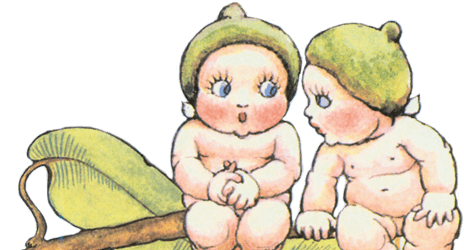 May Gibbs’ books and characters were inspired by the unique Australian landscape, so why not encourage your children to explore their own backyard or local park and relive treasured scenes from the Gumnut Babies? Here are a few easy, stress-free and clever ideas to keep your little gumnut babies entertained! Encourage your little bush babies to channel their inner bush fairy by hunting for beautiful bush treasure – gum nuts, gum leaves, native flowers, seed pods, interesting branches or twigs. Whatever they find, they can turn into their very own Gumnut Baby Wall hanging! Another idea is to create a beautiful Gumnut bush lantern, which will come in handy for Christmas. Or, alternatively, their treasures can be used to decorate a little house – turning it into a bush fairy dwelling that will entertain them for hours! Gumnut Babies have so much fun flitting around the bush – who wouldn’t want to spend a day just as they do? 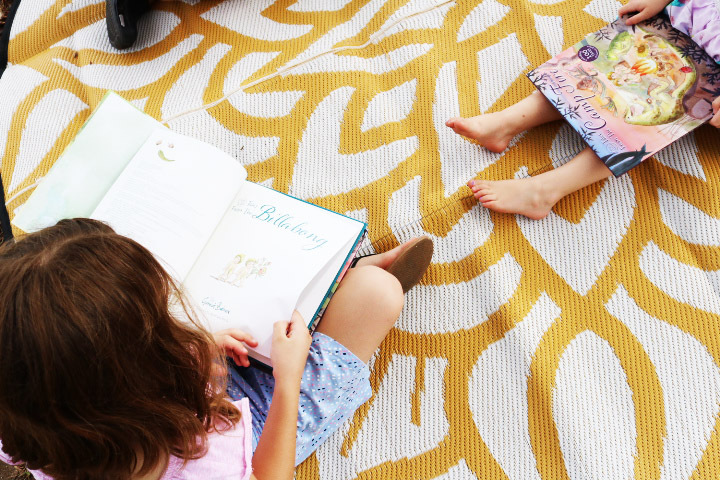 With games of leapfrog with their friends, games of I Spy looking for mushroom babies and pretty wattle, seed pod boat making and story writing, this fantastic list of ideas will keep the imaginations of your little ones pumping! On rainy days, indoor play is a must. Turn off the TV and get rid of the screens – we’re turning back to dress ups, arts and crafts, and creative play as a way to engage with May Gibbs characters! It’s so easy to find ways to dress up as Gumnut babies, bush fairies or other May Gibbs characters – and you can do so with things you already have lying around the house! With some old khaki or black coloured clothing, a few green paper gum leaves, and a paper gumnut hat, your little ones will look and feel just like the Gumnut Babies they love reading about. They can re-enact their favourite scenes or create entirely new stories – the sky is the limit when it comes to little imaginations. What child doesn’t love arts and crafts – and what bush fairy? Check out our range of colouring sheets, word searches, printable puzzle pieces and lots of clever printables to keep your Gumnut Babies out of mischief. For more fantastic ideas on how to encourage your child to interact with the beautifully imagined May Gibbs characters, check out our fun and games page!